Guarder Enhanced Recoil / Hammer Spring for Marui MEU / M1911 (150%) Airsoft Gas Blowback. 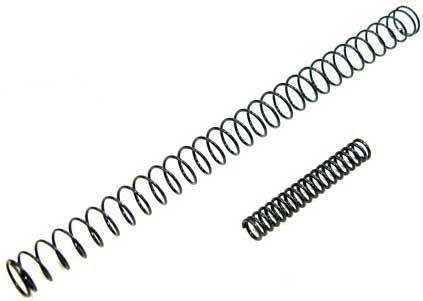 Made of high grade steel both hammer springs and recoil springs work together to provide a more realistic kick than stock parts. These make your pistol WAY MORE FUN to shoot. Made for 1911 and MEU style TM compatible pistols.